German Cockroaches unfortunately they are everywhere on the Central Coast especially in rental homes. They’re disgusting, messy, destructive and they stink! and even worse than that, they also produce pheromones. As a result they cause asthma attacks and allergic reactions in many people. 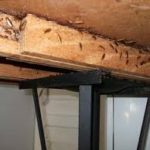 If you’ve got an infestation of German cockroaches at home. You’ve come to the right place. Bugah Pest Control services over 300 homes in throughout the Central Coast each year. We’ll have these unwanted guests out of your home in no time. Our technicians have seen the worst of them I’m sure. 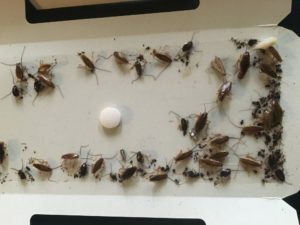 There is a bad stigma in the community that anyone who has these cockroaches lives in a disgusting home of poor hygiene. This is not the case! Therefore to get rid of this pest you need to truly understand their lifestyle, social behaviours and habits. In most cases, chemical intervention is not the only change needing to be made. In a lot of cases changing the environment in which they live can cause the colony to collapse making it easy to finish them off with insecticides. If you trawl the internet you will find many different home remedies and magic cures. They just never seem to get the job done. The unfortunate thing is that these guys have been breeding over a long period and they’re not going away without a fight. You will need determination, patience and professional help to stand any chance at winning this battle. 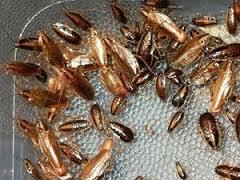 Approximately 40 German Cockroaches if they weren’t caught they would breed to 1600 in just 4 weeks time. Rather than wasting your hard earned cash on supermarket sprays. That have no residual effect and are only effective on the ones you actually directly spray. There’s a reason you can buy these cheap chemicals off the shelf and the reason is because they are very weak, and therefore very ineffective. FACT: Did you know that one little piece of German Cockroach facies will void the warranty on your household appliances?